How do I create, reply to, edit or delete a thread? 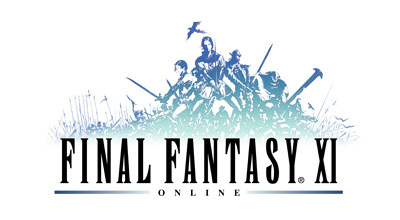 To perform any of these tasks, you must first login to the FINAL FANTASY XIV Forums using a SQUARE ENIX Account with an active FINAL FANTASY XIV service account registered to it. First, select a forum and sub-forum that you would like to start a thread in. Once you have done so, select “Post New Thread” located on the top left of the page and that will open up a form you can fill in to start a thread. Enter a thread title and message (such as description of the thread), and then click "Submit Reply". You will be required to enter at least 10 characters in a message body. You may also use BB codes and emoji in a body. If you wish to preview what you are posting, click "Preview Post". Click "Reply to Thread" located on the top left of the page while displaying a thread you wish to make a post, and you will be moved to "Quick Reply" at the bottom of the thread. Enter a message in the box and then click "Post Quick Reply" to finish posting to the thread. You will be required to enter at least 10 characters in a message body with a maximum of 10,000 characters in a post. You may also use BB codes and emojis in the body. If you click "Go Advanced" located on the bottom right in the "Quick Reply" box, a page where you can enter a title and additional options will be displayed. You can reply to a thread through this page. Once you have logged into the forum, locate the post you wish to edit and then select “Edit Post” on the bottom right of the post. Once you have selected “Edit Post”, the editing page will appear. From here, you can edit your post and then select “Save” to update your post. Please note that the title of the post cannot be edited. Please be aware that if you delete the first post of the thread, you will delete the while thread as well. Make sure to take caution when deleting a post.